The 200-page report, as first reported by The Indian Express on May 28, contains close to 90 suggestions including reinstating detention of students beyond Class V.
Former Cabinet Secretary TSR Subramanian wrote to HRD Minister Smriti Irani today asking her to make public his panel’s report containing suggestions for the new national education policy — or else he will. Subramanian was the chairperson of the five-member committee entrusted with the responsibility of assimilating feedback collected by the HRD Ministry through grassroots and national-level consultations on 33 themes and making suggestions for drafting a new education policy for the country. Former Chief Secretaries of Delhi and Gujarat, Shailaja Chandra and Sudhir Mankad respectively and ex-NCERT chief J S Rajput are also members of the panel, which submitted its suggestions to the HRD Ministry on May 27. The last policy was made almost three decades ago in 1986. With the report not public yet, Subramanian, sources said, has sent a three-page letter informing Irani that he, after some “soul searching”, has decided to go public with its contents. The former bureaucrat, however, did not mention when he intends to do this. When contacted, Subramanian declined to comment. An HRD Ministry spokesperson did not respond to questions sent by this reporter. Irani was unreachable for comment. The 200-page report, as first reported by The Indian Express on May 28, contains close to 90 suggestions including reinstating detention of students beyond Class V, setting up an all-India cadre of educational services on the lines of the Indian Administrative Service (IAS), overhaul of regulators such as the UGC, inculcating values and nationalistic pride in school students, compulsory quality audit of all higher education institutions every three years and allowing foreign universities to set up campuses in the country in collaboration with Indian institutions, among other things. The government, sources said, is studying the recommendations and will prepare a draft education policy, which will be put in the public domain for feedback. 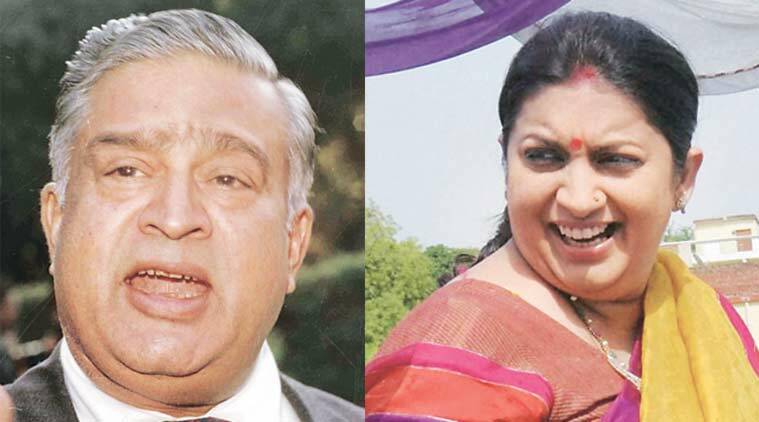 But Subramanian has urged Irani to make the panel’s report public before finalising the policy. Justifying his views, the former bureaucrat has said that the report is not a “top secret” document, but one of public interest. He is also learnt to have said that in a democracy it is good to elicit public feedback before formulating a policy. Referring to his association with the Right to Information movement, Subramanian’s letter states that as the Cabinet Secretary of the Government of India he had drafted the Cabinet note on the RTI Act and even the Bill placed in the Parliament. He further adds that uploading the recommendations of the five-member panel will be in accordance with Section 4 of the RTI Act, under which the government should provide as much information suo motu to the public at regular intervals. He also said that during his meeting with Irani and ministry officials in the past he was made to understand that the suggestions will be uploaded on the government’s official website for feedback, but that doesn’t seem like the intention anymore.